Another blast from the past -- since last year was so mild. For this layout I used yellow as an accent color. 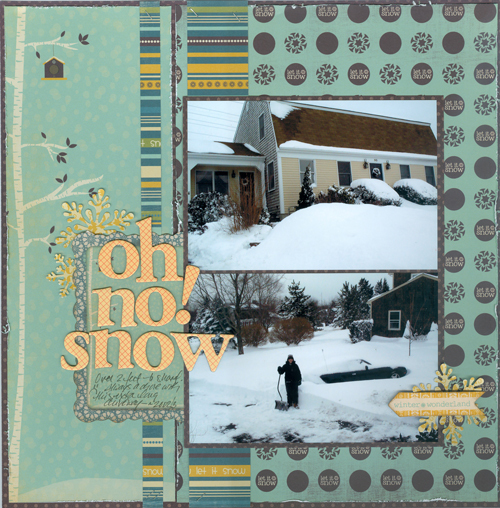 I paired the yellow in the paper strips with old yellow Thickers and a few yellow snowflakes. The yellow in the alphas is not exactly the same as the papers, but it still works.